More from the files: B-schools with luxury of choice of whom to accept into their MBA classrooms have always valued diversity in the matriculating class. 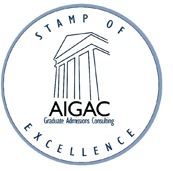 This trend continues strongly as Adcoms show clear intent to accommodate “experience” diversity applicants, including those with part or all of their work experience in non-traditional backgrounds such as social sciences, creative industries, non-profits, real estate, hospitality, urban planning, fashion, and so on. Male applicants wholly enclosed by cookie-cutter engineering or finance backgrounds are still getting in, but not nearly as easily as before, despite having good GMAT and GPA numbers, good recommendations, and generally having apparently made the “right” career moves. 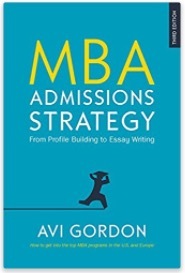 Reading the MBA admissions boards, there are many, many stories that tell of apparently perfect candidates with perfect GMATs getting dinged all over. Why is this happening? First, schools have always seen and offered valued in diversity in the matriculating pool–which broadens the classroom perspective, fosters real-world peer-to-peer learning enrichment, and which brings MBAs face-to-face with other points of view and thus sharpens their listening and thinking skills. But now, as the business school industry itself gets more competitive, schools need to raise their game on diversity too. Another force behind diversity in MBA admissions is the slow-burning image problem of business schools and the MBA degree itself. Rightly or wrongly it appears to outsiders that a lot of MBAs from top schools are involved in decision-making that is less than fully ethical. Adcoms are looking for MBAs who will be brand champions of better ethics, and they are not so convinced anymore they will find them in among standard finance, accounting, or consulting-based applicants. Finally, the perceived value of innovation in industry is at an all-time-high. To build big new businesses, from Bitcoin to Beyond, you have to not just think big. You have to think different. With this in mind, it’s not surprising that Adcom will rate an architect or journalist or even a racing driver as valuable in the class, in terms of challenging mindsets and staid practices. When I first wrote this story, I mentioned at the time I had a standard finance-banking background client. For a while I despaired, but in profiling I discovered he had spent six months in a rotation in Perth, working on deals and risk-mitigation in the booming (Australia-China) mining resources sector. This was enough to make him interesting, and combined with the rest of his solid profile, got him the admissions offers he was looking for.